Finally after weeks of rumors and leak, Sony has taken the curtains off its camera phone the Sony Honami with an official name called Sony Xperia Z1. As seen on all the rumors we’ve been reading about the Xperia Z1 features a 5” Full HD Triluminos Display with X-Reality, 2.2GHz quad-core Snapdragon 800 processor, 2GB of RAM, 16GB of expandable storage, 4G LTE connectivity, IP55/58 certified for dust and water resistance, and a 3,000 mAh battery on board. Camera wise, it packs Sony’s G Lens large 1/2.3-type 20.7MP Exmor RS CMOS image sensor with BIONZ for mobile image processing engine. The combination allows the Z1 to churn out some high quality images and with its water resistance design, you can literally capture the best image wherever you go. The camera can also deliver 3x clear image zoom that prevents shots from being blurred while enabling them to be captured at a distance. The Sony Xperia Z1 is scheduled to be launched this month itself in three color variants – black, white and purple. Hit the break for the full press release. If you think everything you’ve just seen are amazing, stay tuned because Sony will be hosting an event here in KL tomorrow morning at 10am hopefully for some exciting local announcement for the Xperia Z1. 4th September 2013, IFA, Berlin; CET 16:45 – Sony Mobile Communications (“Sony Mobile”) today introduces Xperia Z1, a premium waterproof smartphone that combines the very best of Sony’s technology, entertainment and wide range of companion products with a unique and groundbreaking camera experience. 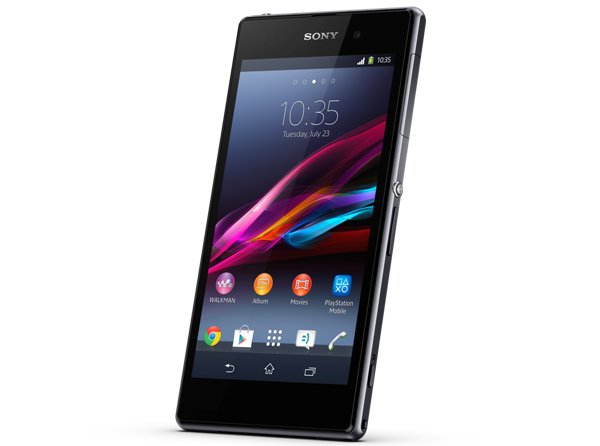 Xperia Z1 will launch globally from September 2013. The elegant, 5” Xperia Z1 is the latest addition to Sony’s premium Z series of products and brings Sony’s proven world-class technologies to the smartphone like never before – including the very best of Sony’s camera expertise. Xperia Z1 features Sony’s award-winning “G Lens” with a 27mm wide angle and bright F2.0 aperture, custom made large 1/2.3-type CMOS image sensor Exmor RS for mobile with 20.7MP and a BIONZ for mobile image processing engine. The combination of these technologies delivers the same level of quality and performance as a conventional compact digital camera in a slim, waterproof smartphone. Indeed, independent testing has confirmed that Xperia Z1 provides the best overall image quality of all leading smartphones. * This means that Xperia Z1 captures beautiful, sharp and bright images even in lowlight conditions. High shutter speeds and 3x clear image zoom also prevents shots from being blurred while enabling them to be captured at distance. Xperia Z1 integrates PlayMemories Online**, a cloud-based image and video service that is integrated into the Album application. A new ‘All Sync’ feature enables users to instantly auto-upload all of their photos without storage limitation***. Sony’s “WALKMAN” and Movies applications are also included and provide access to more than 22 million songs on the “WALKMAN” app through Music Unlimited and more than 150K movies and TV series on the Movies app through Video Unlimited**** from Sony Entertainment Network. SBH52 Smart Bluetooth Handset – Splash proof wireless audio accessory that enables you to listen and talk without taking out your smartphone. SmartTags NT3 – Create a unique experience for your tag and share with a friend via NFC.